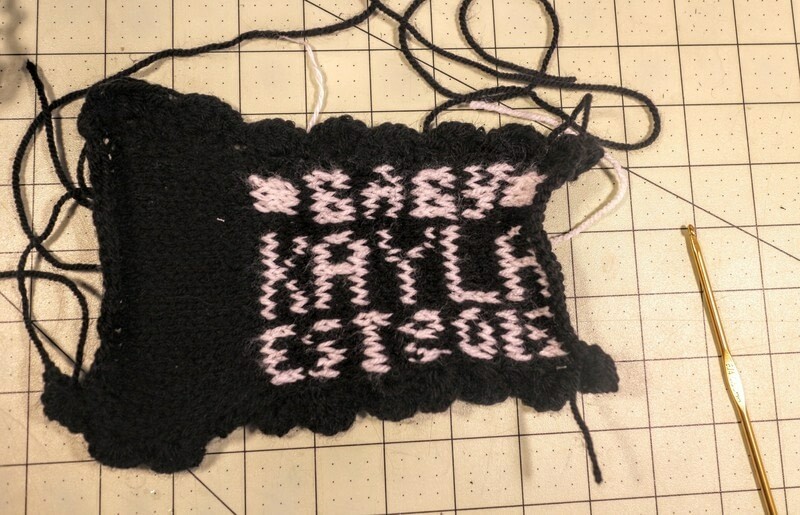 Before you begin, you'll want to make a simple chart spelling the babies name and year of birth. 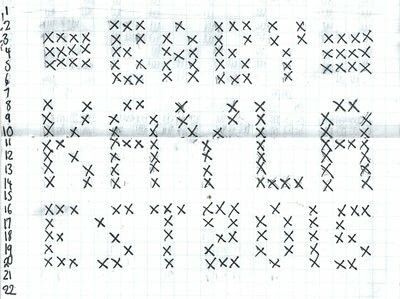 Grab some graph paper and a pen and plot it out - it should be a grid of roughly 22 x 33. 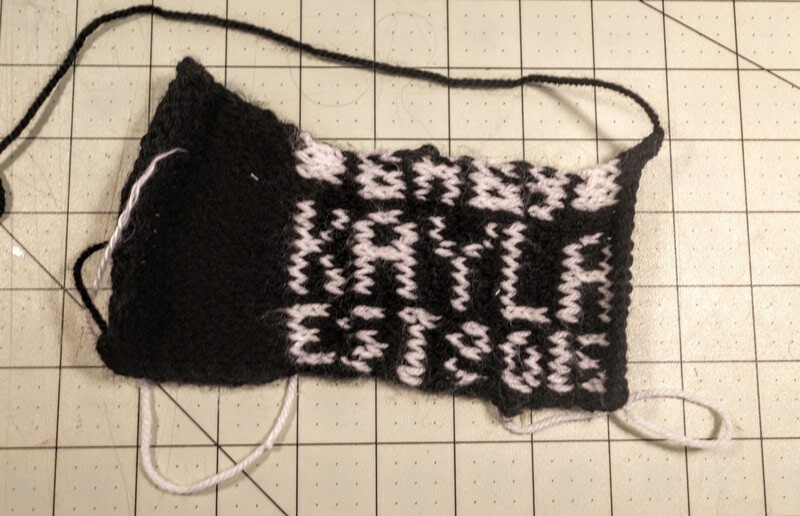 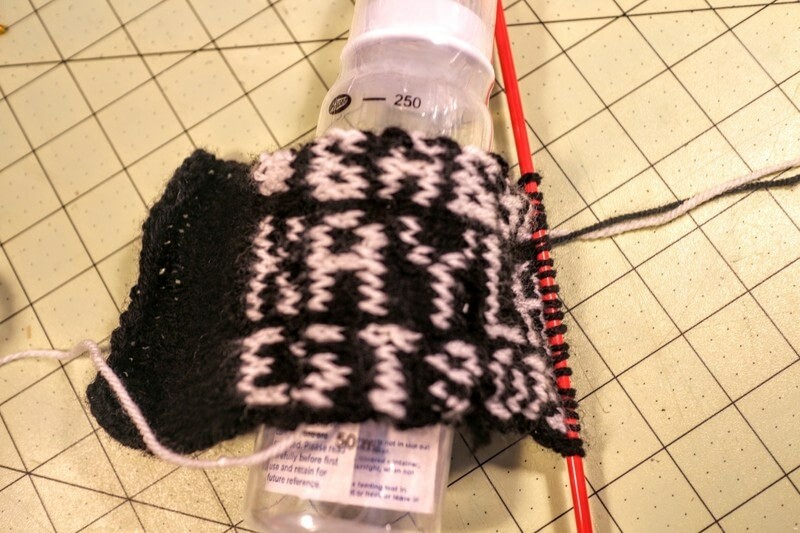 Rows 1-10: Knit in garter stitch. 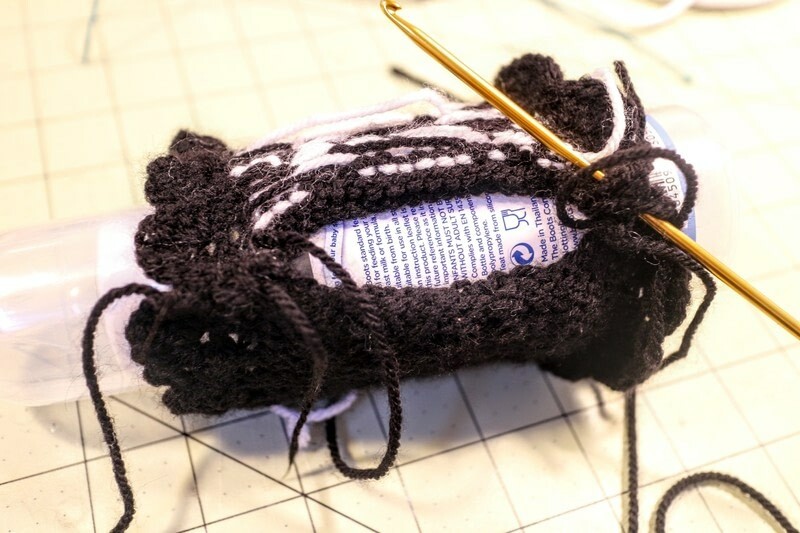 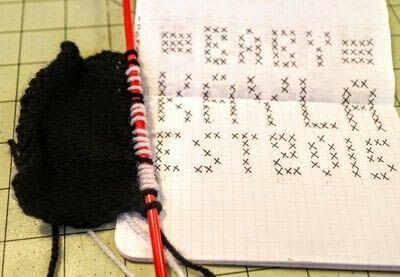 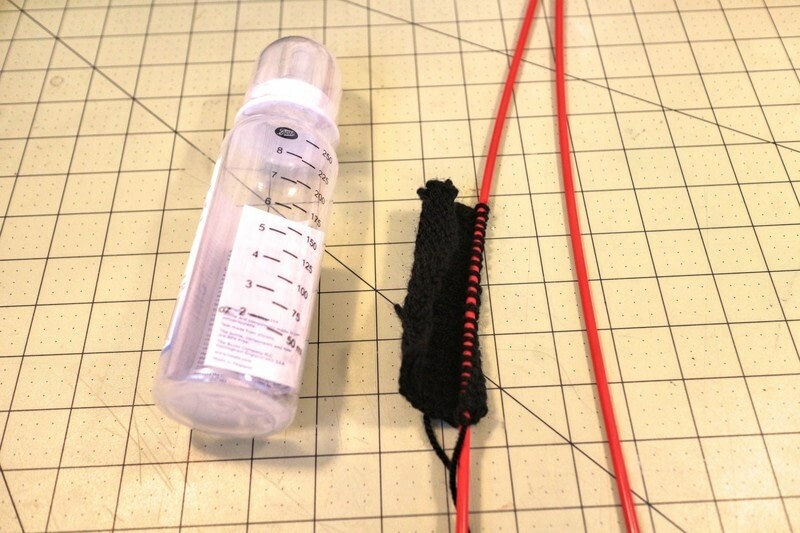 When you finish stitching the chart, measure your bottle warmer against the bottle to check the fit. Stitch a few more rows in garter stitch if it's too small. 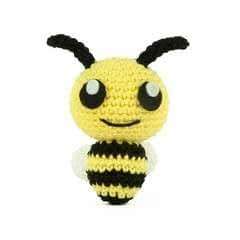 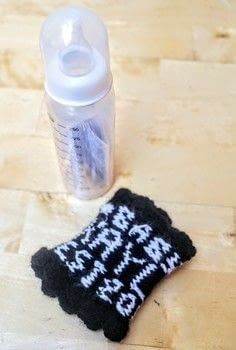 Using a crochet hook, add a scalloped edge to the top and bottom of the bottle. Row 1: Crochet one row. 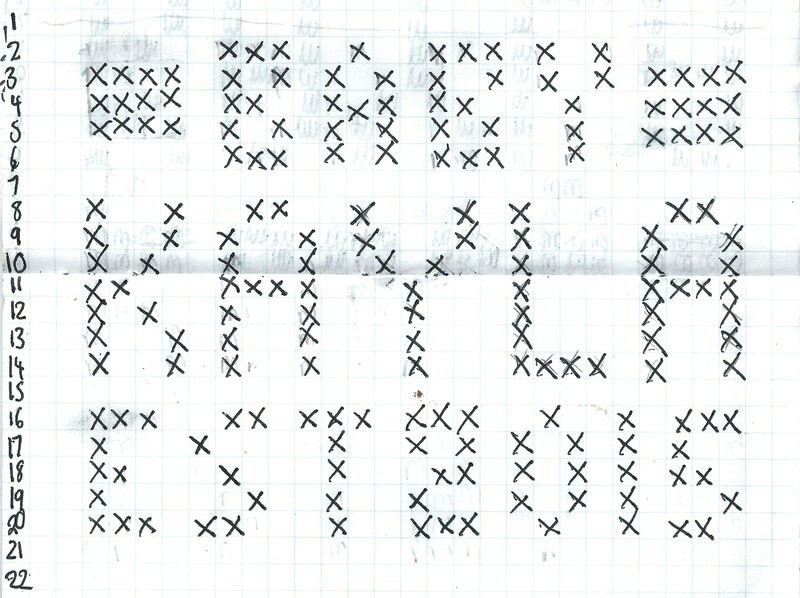 Chain 1. Row 2: Miss 1 stitch, 5 dc in next stitch, miss 1 stitch, sc in next stitch and repeat to the end of row. 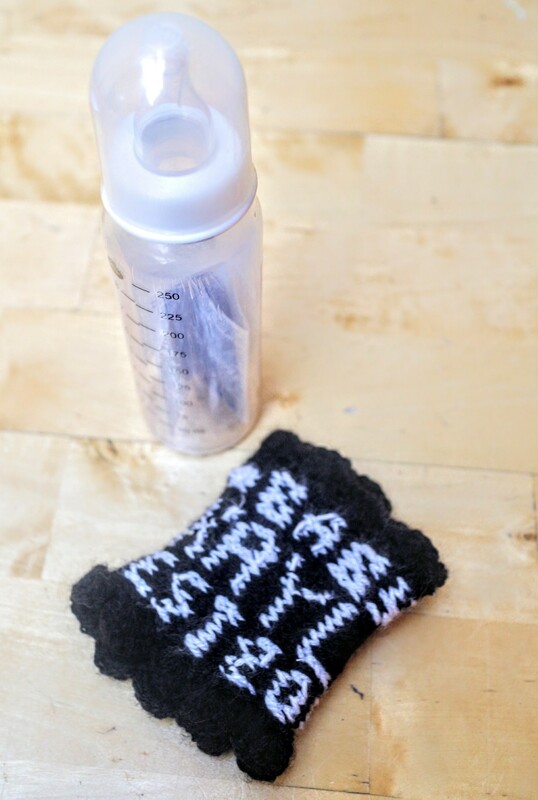 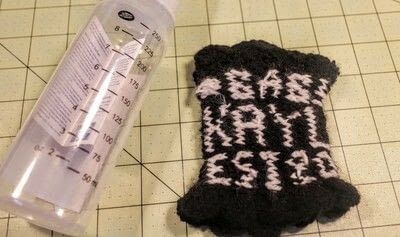 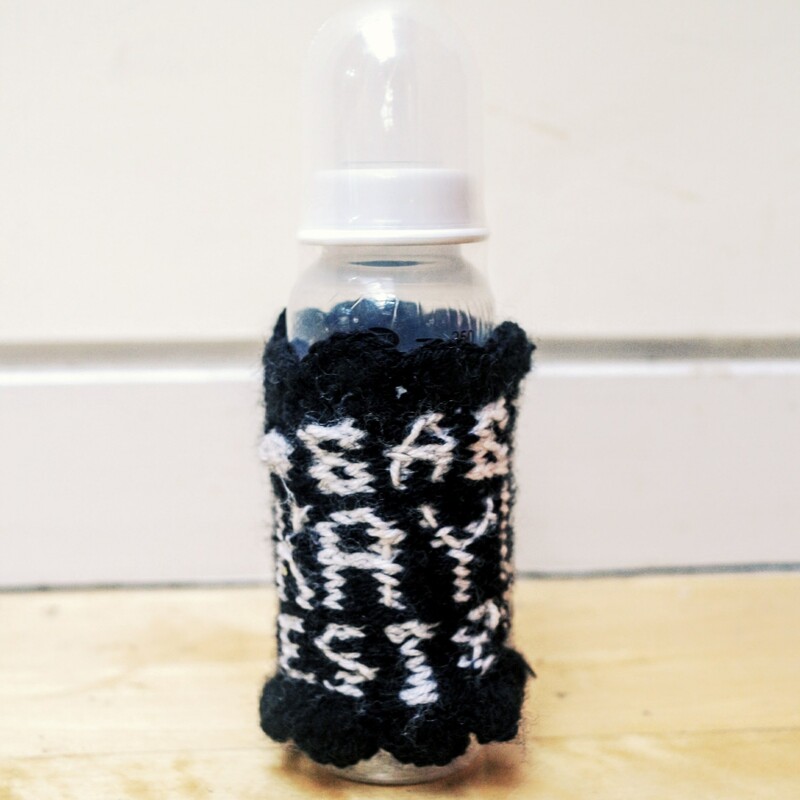 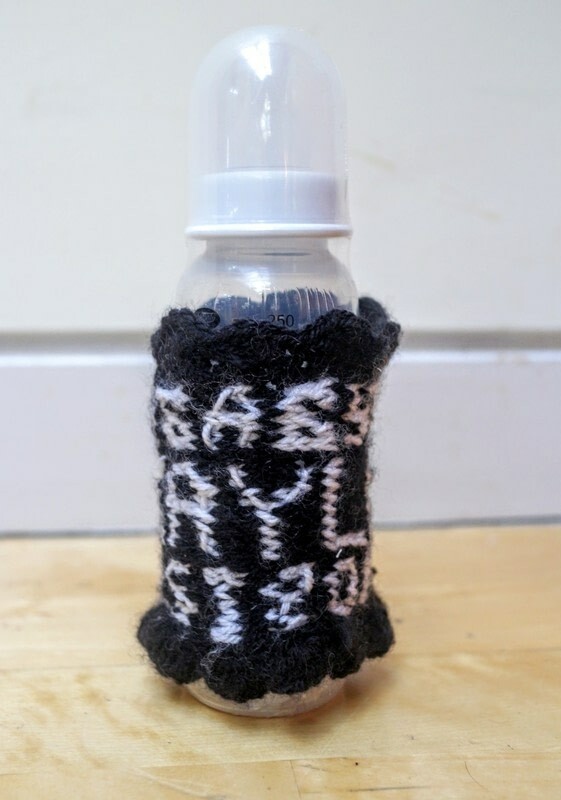 Use a yarn needle to sew the bottle warmer snuggly around the bottle holder. Weave in all the loose tails and you're all done. 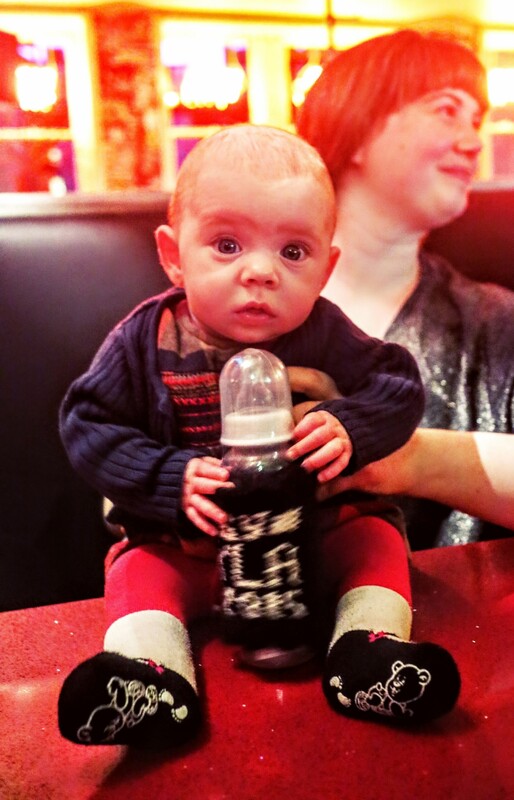 Give it to a baby!